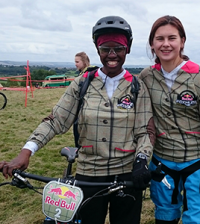 Cross-country mountain biking made its Olympic debut in Atlanta 1996, and in London riders will race against each other across a 4.7km lap of rocky paths, tricky climbs and technical descents. It’s a straight forward race – all riders start together and the first to cross the finish line is the winner. The competition will last between one hour 30 mins and one hour 45 mins and riders must complete a minimum number of laps in this time (in Beijing it was eight). If a rider is lapped, they must finish the lap they are on and then retire. Getting a good start to the race is crucial for the riders and this is often where accidents happen. Riders carry their own puncture repair kits to carry out their own wheel repairs on the circuit, and there are also feed and technical stations around the course for the riders to take on much needed fuel and make repairs. Great Britain is likely to have one competitor – 21 year old Annie Last. 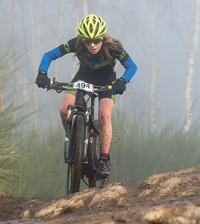 She won silver at the Under 23 2010 Mountain Bike World Championships and is the British senior champion. 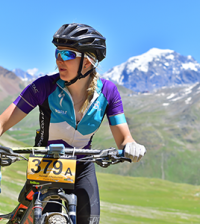 Beijing champion Sabine Spitz of Germany will be looking to successfully defend her title, but French rider Julie Bresset, the 2011 U23 world champion, is enjoying a great start to her first elite season this year. The original choice of circuit at Weald Country Park was rejected in favour of Hadleigh Wood in Essex as it was not demanding enough.